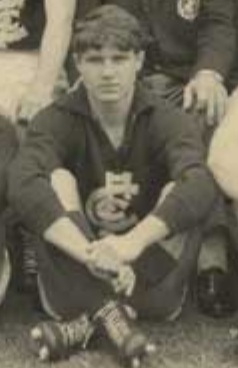 Recruited locally from the Carlton Youth Foundation, Paul Constance confirmed his potential when he was voted Best and Fairest for Carlton’s Under 19 team in 1965. A lightly framed rover, he was allocated guernsey number 40 the following year when he stepped up to Reserves level, and in round 11, 1966 he was called into the senior side as 20th man for the clash against Collingwood at Princes Park. The ladder-leading Magpies were expected to have little trouble with the inconsistent Blues on that Saturday afternoon. However, led by a dominant ruck division of John Nicholls and Adrian Gallagher, Carlton jumped the Magpies in the first term and held on for a thrilling win by 16 points. Constance got only the briefest of runs on debut, but held his place on the bench for round 12 - when the Blues took on Richmond at the MCG, and lost by five goals. After that, Paul was sent back to the Reserves for a month to hone his skills, before being recalled for the round 17 match against Footscray at the Western Oval. Once again, he warmed the bench almost throughout, as the Blues took control in the second quarter, and restricted the Bulldogs to a final score of 4.1. (25) - which still stands as Footscray’s lowest total ever against Carlton. Sent back to the Reserves to finish off the season, Constance capped his year by winning the Reserves Best and Fairest. Despite that honour however, his senior career at Carlton ended shortly afterwards, when he was delisted after the annual season review. Contributors to this page: Bombasheldon , Jarusa , molsey , PatsFitztrick , tmd1 , p(12)terg , true_blue24 and admin . Page last modified on Sunday 28 of April, 2013 07:06:12 AEST by Bombasheldon. 1999 GF - A young Blues supporter.